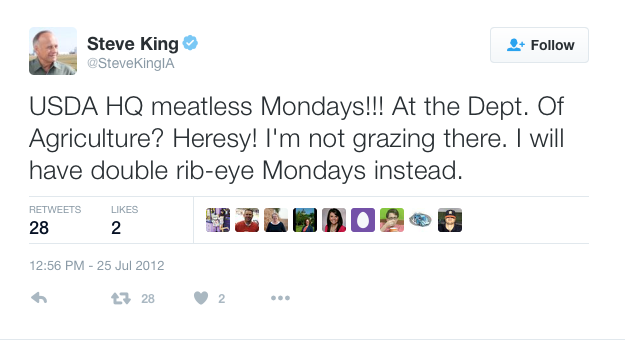 It seems like just yesterday when Rep. Steve King (R-Iowa) was trying to pass so-called Ag Gag legislation to prevent undercover factory farm investigations. Prior to his Ag-Gag addiction, he fought to make dog fighting, puppy mills, eating cat meat, and cockfighting legal and supported the slaughter of polar bears for sport-hunting. So many animals to kill, so little time! Imagine if our military had to defend the United States eating beans, grains, nuts, fruits, and vegetables packed with protein and other essential nutrients. Unthinkable! They need the cholesterol and saturated fat filled bacon cheeseburgers–and the diabetes, heart disease, high blood pressure, and cancer that come with it–to win wars. 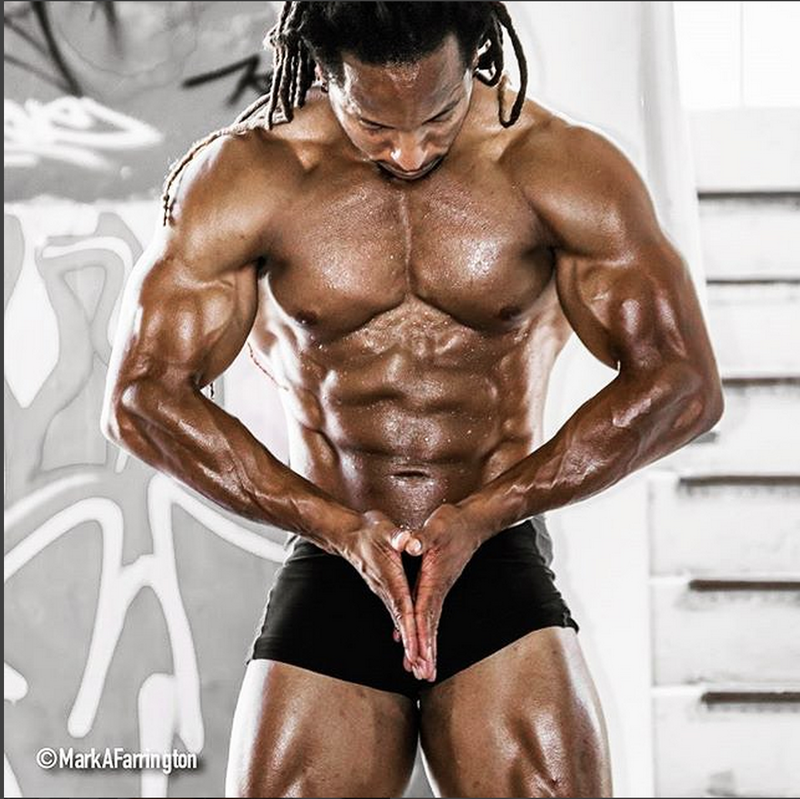 After all, if they ate more plant-based food on Mondays–one day of the week, they may wind up looking like professional bodybuilder Torre Washington who has been vegan for 18 years. 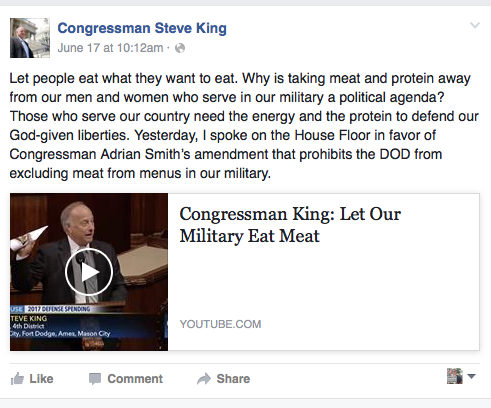 King conveniently didn’t mention that many members of the military are listening to their doctors and “eating less, exercising more and downing more fruits and vegetables” so they can better defend our country. King also crawled onto social media to spew his fountain of distortions and predictably juvenile comments. Of course, he neglected to mention that Johns Hopkins School of Public Health recently explained that eating less meat would make our military healthier, stronger, and more prepared for battle and that claims to the contrary ignore the science of human nutrition. It also escaped the absentminded congressman that he is a shill for Iowa pork producers as detailed here, here, and here. This guy is such an idiot. I hope he dies of cancer soon from eating all that meat. Finally releaving us all of his stupidity. King wants horse slaughter brought back to the U.S. in addition.